Elyse Yu is a 4 month-old triplet daughter of a Korean-American family in Southern California. She is in desperate need of a bone marrow transplant to save her from a rare blood disorder. Members of the Asian-American community are being asked to be tested for Elyse and others awaiting transplants. In the San Francisco Bay Area, you can be tested to see if you are a match for Elyse by going to the Stanford Blood Center or other marrow donation centers. Asians for Marrow Miracle Matches has a database of bone barrow drives in Southern California. You can find additional information about bone marrow donation nationwide, for all ethnicities, at the National Marrow Donor Program. You never know if you might be the one who could save someone's life. If you have a blog, please spread the word about baby Elyse's situation by uploading this video from YouTube, and encouraging your readers to help. For more information on Elyse, go to the family's website. For more on the need for bone marrow donors (especially in the Asian communities), check out Kimchi Mamas. I'm sending love and good wishes to Elyse and her family, and will hold them in my thoughts and prayers. This is the last weekend for the Parents Club of Palo Alto & Menlo Park (PAMP) Wish List for InnVision Homeless Shelters in Palo Alto and Menlo Park. If you would like to give a little something to some homeless families in the Bay Area, we still have about 62 items that need to be purchased, from a pair of sneakers to a vacuum cleaner. Most of the items are simple requests for clothing and household items. All donations are tax deductible and you can do it right now from the comfort of your own home (or office, whichever the case may be). Jill from Silicon Valley Moms Blog is leading the effort and had done a tremendous job. The drive ends on Monday, December 11, and we'll be wrapping the gifts on December 17 at the shelter. Meanwhile, over at Kimchi Mamas, we're still collecting money for the Asian Pacific Women's Center. Just stop by Kimchi Mamas anytime between now and December 15 and leave a little something-something in the tip jar if you would like to help out. Any amount, large or small, is greatly appreciated. Your donation is made via PayPal, so no need to look for a stamp or go to the post office. 100% of the proceeds go to help Asian and Pacific Islander women who are survivors of domestic violence. I used to volunteer in a domestic violence shelter, and I know that holidays were the hardest for the women and children there. We did our best to make it brighter, and relied heavily on outside donations to make sure that the kids were visited by Santa and got some of their wishes fulfilled. An even easier way to give a little bit this holiday season is to click on the ad for "The Find" on the right sidebar of this blog. If you enter a search for anything with the word "red" in it, they will donate $1 to Doctors without Borders, with the goal of a $10,000 donation. Go ahead. You know you want those red ruby slippers, that Chanel red lipstick or the red iPod, or your kid want a red fire engine, a little red wagon, or a shiny new red bike...You don't even have to buy anything, just click. I have to warn you, though, The Find is a pretty cool site and could get to be addictive if you're not careful. Our local Parents' Club, under the leadership of Jill and Pamela of the Silicon Valley Moms Blog, is once again helping out homeless kids in our area with a Christmas Wish List on Amazon.com. Jill and Pamela have put together a wish list for families who reside in the Clara-Mateo Alliance homeless shelter in Menlo Park and the new Opportunity Center of the Mid-Peninsula, located in Palo Alto. There are currently hundreds of people living in these shelters, ranging in age from newborns to elderly folks. The drive runs through mid-December, to ensure that everything arrives before Christmas. InnVision is the parent organization for Clara-Mateo Alliance and the Opportunity Center, and is the leading provider of housing and services for homeless families and individuals in Silicon Valley. The program serves about 16,000 individuals each year and was founded in 1973. According to their website, a third of the people living in Silicon Valley live below the poverty line. Their website lists a number of ways that people can help the homeless and others in need in our community during the holidays. I looked over the wish list that Jill posted, and I was amazed that most of the kids asked for clothing, hats, and warm winter gear. When was the last time your child asked for socks for Christmas? Some of the requests are for basic necessities, things that we often take for granted. At this time of being thankful for all we have, find a way to share your gratitude and blessings with people less fortunate. I'm also working with the Kimchi Mamas on another holiday giving project...stay tuned for more details on that one! Once a month, a group of dedicated volunteers from the Parents' Club of Palo Alto & Menlo Park (PAMP) provide a potluck dinner to our local Ronald McDonald House. The last time we were there, Patricia Smith, Program Director, mentioned to me that their toy basket is running low on items and they don't have a way to restock it. During the holidays, they receive an abundance of toys and gifts for the kids from various community groups, and use the donations throughout the year. That stash is running low now, and so PAMP is collecting toys and we are asking people to donate directly to help stock the toy basket until Christmas. According to Patricia, when children enter Ronald McDonald House for the very first time, they usually head straight for the “Toy Basket,” located near the registration desk. 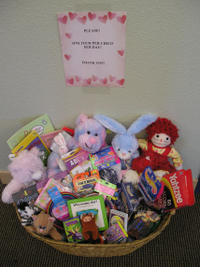 The basket is filled with wonderful items that delight and amuse the children during their long stays at Lucile Packard Children’s Hospital or at Ronald McDonald House. During their stay, no matter how long, children are invited to select a toy a day. If you would like to donate a toy, please keep in mind that due to the children’s compromised immune systems, all toys must be new and in original packaging. Children are ages 1 month to 18 years. 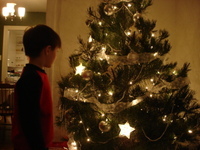 Toys should be unwrapped and the majority of items should be no more than $10 each. Items desired include small trucks and cars, Barbies, small craft kits, electronic handheld games, balls, magnetic games, portable CD players or other personal music players, hair barrettes and adornments, hand puppets, watches, yo-yos, small photo albums, jump ropes and movie passes. They currently have plenty of crayons, glue, bubbles, pens, books (coloring or reading), and pencils, so please don't send those. You can drop off a donation anytime at Ronald McDonald House, 520 Sand Hill Road, Palo Alto, CA 94304. It is across from Stanford Shopping Center, near El Camino Real. You can also use the wish list on Kaboodle as a guide to ordering things online and ship a donation directly to Ronald McDonald House. They will issue a donation receipt to you for your taxes, upon request. PAMP members may also drop off donations at a specified members' homes from August 8-16. A list of drop-off locations will be published via our Yahoo! group for members only. Since the need is ongoing, donations are welcomed throughout the year. I also think it would be wonderful if you would like to include a homemade get-well card from your family to the kids at RMH. That would be a fun way to involve your kids in the project. If you don't have funds to buy toys right now, think about using art supplies you might already have to make a cheerful card or write a letter offering your good wishes to the families. I think the kids and their parents would appreciate knowing that people in our community care about them. Many of them face serious, life-threatening illnesses, and the ones I've been privileged to meet do so with a great deal of courage. Whatever we can do to brighten their days is small consolation, but it helps. Use this kind of activity as a teaching opportunity to show your own kids that every person, no matter how small, can make a difference to others. 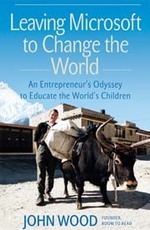 In my late night meanderings around the world wide web, I came across an interesting event that seem to merge my new-found interest in blogging and my long-standing interest in doing some good in the world. The Blogathon is a world-wide effort to raise money for various charities by blogging the night away on July 29. Participating bloggers agree to post something to their blogs every 30 minutes in a 24-hour period and sponsors pledge money for their efforts. This is the same day as the BlogHer conference and my son's big 6th birthday party, so I can't do it myself this time around (and I'm not so sure I could pull an all-nighter). So, I'm sponsoring Kate of Itisi, a blogger in the UK who has selected Doctors without Borders to receive her pledges. If that's not your cup o' charitable chai latte, you can go to the Blogathon website and find an organization more to your liking. The charities range from disaster relief to social justice to disease research and prevention, and most are international in scope. You can either support your blogger by pledging a lump sum or a per-hour amount. Any amount is appreciated. After the Blogathon is over, you pay the charity directly through their own secure website, not to the individual bloggers. I like the idea of people all over the world using their unique voices and technology to help others. I'm looking forward to checking in with Kate to see how she is doing that day. Mother Teresa said, "In this life, we cannot do great things. We can only do small things with great love." So, do a small thing and help spread goodwill through the entire world--pledge your support to a blogger or sign on yourself! A Great Man's Passing: William Sloane Coffin, Jr. The Reverand Dr. William Sloane Coffin, Jr. passed away recently at the age of 81. This news saddened me, but I have been thinking about the impact that his life had on mine, and how incredibly grateful I am to have known Bill Coffin many years ago. My work as a community volunteer, as a civil rights and poverty lawyer, and everything in between were motivated and inspired by him. In the pantheon of my personal heroes, Wlilliam Sloane Coffin, Jr. sits at the center. He once said, "Doing good works does not make a person good; good people just always seem to do good works." In 1979, Coffin was one of three American clergymen who traveled to Iran to spend Christmas with the Americans who had been taken hostage by student militants during the revolution led by Ayatollah Khomeini. Coffin was shown on the news playing the piano, talking with the hostages, and offering them messages of hope. At that time, I had no idea who he was, but the news indicated that he was the Senior Minister at Riverside Church, which was right around the corner from my Barnard dorm. I went the following Sunday, curious to hear a first hand account by the man I'd seen on the news. One sermon, and I was hooked. Coffin was a man who was larger than life, with a life story that read like a liberal, but true, version of Forrest Gump. Wherever things were happening and social change was occuring, Coffin was in the thick of it. He was a Freedom Rider during the Civil Rights movement, was arrested along with Daniel Berrigan and Dr. Spock for resisting the Vietnam War, led the Nuclear Disarmament movement in the 1980's and was a vociferous opponent of apartheid in South Africa when most of the world turned its back. He spoke out in favor gay rights when people still said the word "homosexual" in hushed tones and pretended it didn't exist. He urged his congregation not to condemn others "for the way that they love." He was a man of his time and ahead of his time. His powerful baritone voice soared above the choir in hymns, and above the crowds in protest. I attended Riverside for many years, more for the messages of social justice than for the religious content. My mom was raised as a Buddhist, and my dad as an Pentecostal Christian. At some point, they must have just agreed to disagree and left my brothers and me to figure it out for ourselves. They were surprised when I joined the church and decided, as an adult, to be baptised. As part of the membership process, I had to write an essay on "What God Means to Me" and meet with Bill Coffin to discuss it. I was nervous about it, and didn't want to look foolish in front of someone I admired so much. At age 20, what did I know? Having Coffin as my spiritual mentor was like having Barry Bonds coaching Little League. At our meeting, he reassured me that my thoughts and my doubts were valid. I told him that, to be honest, I didn't really believe in the whole heaven/hell thing. I thought it was like saying that everything we do here on earth doesn't really count for much, that's it's all just one big entrance exam to some exclusive club. How could Christ admonish us to accept and welcome all people, as he did, if Heaven was such a particular and exclusive place? He laughed and said, "To be honest, I'm not so sure about that part either." He told me that for a person's faith to have real meaning, you had to question and doubt, but listen to your heart to find the answers. Pete Seeger was playing a concert at the church that night, and stopped in while I was meeting with Coffin,. He introduced me to Pete and his wife, Toshi. I was more thrilled than I would have been to meet Mick Jaggar and Keith Richards, to be in the presence of two liberal icons. One of the most memorable sermons I remember hearing was his Eulogy for Alex. His twenty-four year old son, Alexander, died in a car crash in 1983. Ten days afterwards, he delivered a sermon that was so moving and so powerful that I sat in the pew and cried from beginning to end. I never met his Alex, but there are parts of that sermon that have resonated with me for over twenty years. In it, he quotes Hemingway, who said, "The world breaks everyone; then some become strong at the broken places." It was seventeen years later, when my own Alexander was born, that I could begin to understand the depths of the pain he must have been in when he delivered that sermon. Only now do I appreciate what steely resolve would have allowed him, after losing a child he adored, to manage to pick himself up and bring himself to do his job, to come to make us feel better when his own heart must have been shattered into a million pieces. He explained it to us that he was only standing there before us, held up by the love of this congregation, his family, and friends. And take our hearts and set them on fire. For years, I tried to live up to this challenge. During the early eighties, I dedicated most of my free time to volunteering at the church and serving on committees for Prisoners' Rights, Nuclear Disarmament, and World Hunger. Why? Because Bill Coffin asked me to. Every sermon was a personal invitation, a challenge to be more Christ-like, to be more Coffin-like. Each sermon was a personal invitation to do what was right, to do your individual part in creating a little more justice, a little more caring in a world that desperately needed it. His sermons always seemed to reach right into my heart and pull a string that I did not know existed and would never have otherwise explored. If Coffin said, "help the homeless," I signed up for a shift at the church's new makeshift shelter. If Coffin said, "feed the hungry," I volunteered at the food pantry. If Coffin said, "The arms race must stop," I marched in a demonstration to stop nuclear proliferation. When Coffin said, "Nuclear energy is poisoning people," I marched on Three Mile Island. I decided to go to law school and become a civil rights lawyer and practice in the poorest neighborhood in the Bronx because of these experiences. My education at Barnard taught me about the life of the mind; my education at Riverside taught me about the life of the heart, the life lived with passion and purpose, compassion and conviction. The memories of my years at Riverside are punctuated by some amazing events and people that I had the opportunity to see and hear for myself... Olaf Palme, Prime Minister of Sweden speaking out against nuclear disarmament. Metropolitan Opera star Jessye Norman singing "There is a Balm in Gilead" that I can still hear in my head and feel in my heart. Archibishop Desmond Tutu beseeching the congregation to speak out against apartheid, when I had never even heard that word before. Marching alongside hippies and coal miners at Three Mile Island. Kim Dae-Jung, who was then a recently released political prisoner, and later was elected President of Korea, and his stunningly brilliant wife, speaking to a small group of rapt listeners. The indominatable peace activist Cora Weiss, leader of the Riverside Disarmament Program, whom I adored as much as I admired Coffin. Handing out flyers in front of Union Carbide and meeting businessmen who worked there and had no idea that the company made nuclear weapons. In 1990, I couldn't get into the church the day Nelson Mandela came; instead, I went with my legal services coworkers to Yankee Stadium where tens of thousands of New Yorkers greeted Mandela like a rockstar. I was privileged to bear witness to history, to be part of something larger than myself, to be a face in the crowd. Over the years, I was so active in the church that I was nominated to be a deacon. Coffin encouraged me, because he thought that I would bring a youthful perspective to the group. During the church election period, he asked me to read a passage of scripture one Sunday. I was mortified of getting up in front of 5,000 people and speaking. I was mortified that I would fall off my high-heeled shoes walking in the processional. I was mortified I would open my mouth and nothing but a squeak would come out. I was mortified that I would let Coffin down. Despite my fears and insecurities, I agreed, because again, I couldn't say no to Bill Coffin. In the Minister's robing room prior to the start of the service, he must have sensed my anxiety. He came over to me, draped his arm around me and said, "Don't worry, dear. Just say it like you are delivering some wonderful news, something that everyone needs to hear. You'll be fine." Whatever things are true, whatever things are honorable, whatever things are just, whatever things are pure, whatever things are lovely, whatever things are of good report; if there is any virtue, and if there is any praise, think about these things. The things which you learned, received, heard, and saw in me: do these things, and the God of peace will be with you. Not that I speak in respect to lack, for I have learned in whatever state I am, to be content in it... I know how to be humbled, and I know also how to abound. In everything and in all things I have learned the secret both to be filled and to be hungry, both to abound and to be in need...I can do all things through Christ, who strengthens me. Philippians 4:8-9; 12-13. I read the words again, and let the meaning sink in. I lost all my fear, delivering my reading with gusto. I looked out at that vast hall, with the stained glass windows, high-vaulted ceiling, and looked into the faces of people I had come to know and love, and was transformed from a bundle of nerves to a confident bearer of good news. I came down from the pulpit after my reading, and Coffin looked at me, nodded, and smiled. I have never received a greater compliment in my life. When I left New York to go to law school, Cora Weiss threw a little going away party in the Riverside Disarmament Program office for me. The staff presented me with a framed poster for the Olaf Palme Memorial Disarmament Lecture. It was hearing Olaf Palme's impassioned speech about the nuclear arms race that led me to volunteer for the program, stuffing envelopes, running errands, writing copy for brochures and doing whatever they needed doing. That poster has traveled with me to every place I've called home since then, and hangs in my kitchen today. It is my way of reminding myself of a time when my idealism turned to action. Bill Coffin often said, "The world is not something we inherit from our ancestors, but something borrow from our children." I hope my own son grows up to know that I tried my best and did my part to make it worthy of him and his generation. My fear is that I and those of my generation have failed him. I worry that he will grow up to take the easy route, to do nothing because doing justice and doing good is just too hard. I worry that I am not being a good enough model for a life of compassion and conviction, of passion and purpose, that somehow I left that life behind when I left Riverside. I worry that he won't have role models like Bill Coffin, to show him that every little bit counts, that you don't do it to secure a place in heaven, you do it because the future and the people you leave behind depend on it. Years have passed, and I am no longer a 20-something with a passion for possibilities; I'm a 40-something mom with a busy schedule. I no longer march in demonstrations; I march through the routines of daily life, shuttling my kid around, going to work, and managing a 100-item household to-do list. I no longer write brochures for peace activists; I write checks. I no longer go out at night to hear leaders and activists speak on what is right; I watch insipid reality TV. I passively sign up for e-mail newsletters and read about what other people are doing. I barely watch the news and am apathetic about voting for uninspiring candidates. I haven't been to church in ten years. I never lost my idealism, just my enthusiasm. All of these events of my life, past and present, whirled like a silent newsreel in my mind's eye when I read that Bill Coffin had died. There, somewhere on the periphery of each frame and often center-stage, is Coffin, my American Idol, my minister, my mentor. Since I learned of his death, I have worried and wondered, "What can I do to honor him? What can I do to show that my life was made vastly richer for knowing him? That I am who and what I am because of him?" The things which you learned, received, heard, and saw in me: do these things, and the God of peace will be with you. Once again, I just can't say no to Bill Coffin. Thanks to everyone who purchased gifts for the children of the Clara-Mateo Alliance homeless shelter in Menlo Park. Over 150 items were purchased--everything the kids asked for and more! Even with all the talk of "donor fatigue," people stepped up and purchased toys, clothes, shoes, and other needed items so that these kids would have a Merry Christmas. Thanks to all our PAMP members and friends, these 29 homeless kids will know that someone cares. Happy Holidays and a Joyous New Year to one and all!